When I began blogging almost eight years ago, I didn’t even imagine all that would come of it. How perfect my timing was. How I happened to be at the right place at the right time. Not only was it a fabulous way to stay in touch with friends, and display our familiy happenings with our loved ones, but after a very short time I was seeing, feeling, and discovering so much more. I have been truly blessed with the experiences, the opportunities, but most of all the friendships that have grown over the years. I can not even begin to tell you how incredibly precious my blogger friends are. The amazing people who I met in a virtual world; behind a screen; online. These friends were among the first to hear that I was pregnant – again. The first to know I was happy. They were the first to listen to me ball my eyes out when I made a mistake. They were some of the first to know I was hurting. Among these virtual-turned-real-life friends are Lori and Janice. I have spent countless hours with these two women – on Skype and the phone, during blogging trips and conferences, via email and blog posts. 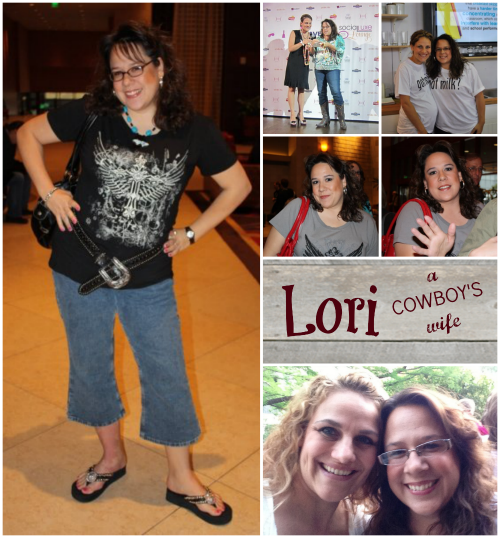 Lori, better known as A Cowboy’s Wife, approached me at BlogHer in San Francisco in 2008. Well, she did a bit more than just approach me – she ran up to me, screaming, “I know you. You’re YoungMommy!” This was the first time I had been recognized. Someone recognized ME; she knew who I was. Her bubbly personality and huge smile had me hooked. Seeing Lori grow and transform over the years has been such a pleasure. I have prayed for her, cried with her, been hurt by her, yelled at her, and laughed with her. I love her dearly and can’t wait to live closer to my Texan friend. 5 Minutes for Mom was one of the first first websites I found on the internet way back when. 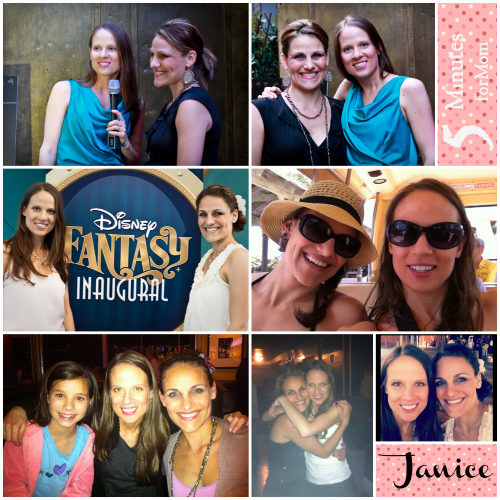 I gave my first interview with Janice, as a “mommy blogger” in 2008. She was so energetic and enthusiastic. I couldn’t help but love her passion. And I love her more today. She has lent her ear and shoulder, on more than one occasion. We have been on the rollercoaster of life, side by side, for the last five years. We may not always agree, but we love each other in spite of our differences. Have you made close friends in the blogosphere? Do you have a profession of love for a blogger friend? Awwwwww, you big ol’ sap!!! I love and adore you with all my heart and I’m so grateful and blessed to have you in my life Chris!! And just think, you’ll be in Texas before you know it and we’ll be getting together even more!! WOOOOHOOOO!!! I love you woman and am proud to call you friend! I still remember meeting you that first time at BlogHer and you were white as a ghost, sick w the stomach flu! You are such a wonderful, awesome friend. I love you!! And lucky Lori that she is getting you closer to her! So sad u are moving so far! Love ya girl! So happy to read you’ve had such a positive journey. I too have made some amazing friends in the blogosphere. Too many to list but seriously almost everyone in the NYC blogging community. 2 incredible women and so glad to see a shout out to them. You are pretty amazing too! I am so lucky to have met some of the amazing women that I now consider friends because of blogging. What an amazing community we’re a part of!